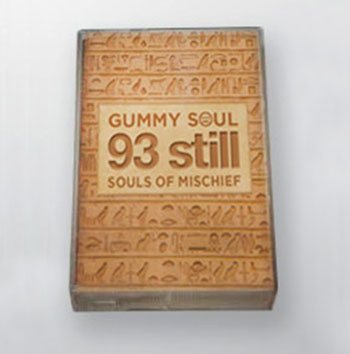 In celebration of the 20th anniversary of ’93 ‘Til Infinity’, Souls of Mischief graciously opened their vaults to give Gummy Soul the exclusive acapellas of their classic album, to remix for the first time ever. 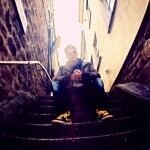 As the framework of the project, Gummy Soul’s Wally Clark, dug through his extensive record collection, and gathered all of the songs that were sampled to make hip-hop in 1993. Jazz, Funk and Soul songs, used to create classics from Digable Planets, Snoop Dogg and Black Moon, were then re-contextualized to provide familiar, yet updated versions of some of hip-hop’s most beloved material. Be on the look out for Soul’s of Mischief’s new album “There Is Only Now,” produced by Adrian Younge, as well as the ’93 ‘Til documentary’, featuring Questlove, Mos Def, 9th Wonder, Pete Rock and more.